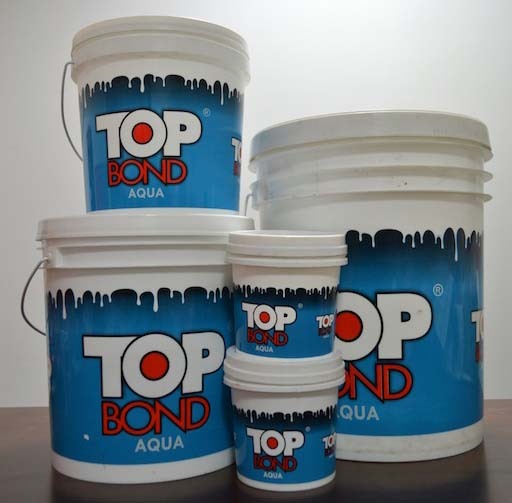 Top Bond Aqua Adhesive" is a acid co-polymer. It provides lasting results for applications like Wood, veneer, mica and board etc. Prefect for furniture/sections having high water exposure or similar usage. Forty-eight hour normal water resistance. One hour boiling water resistance. 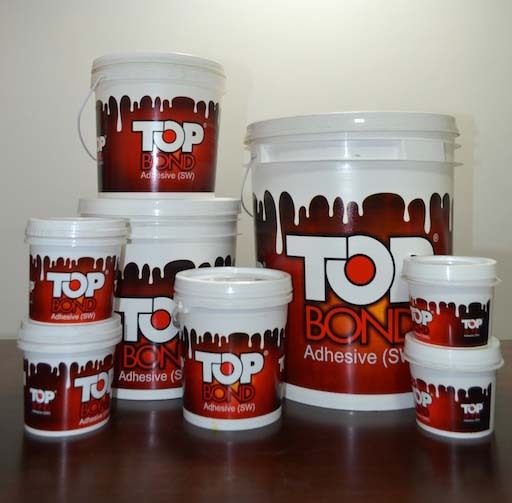 Top Bond SW is a durable wood adhesive. Apart from the high spread ability of the product, good flowing properties, quick drying, it carries unmatched bonding strength which makes it a perfect adhesive for the wood furniture industry. It is ideal for all wood furniture applications, pasting of mica, ply, board etc. 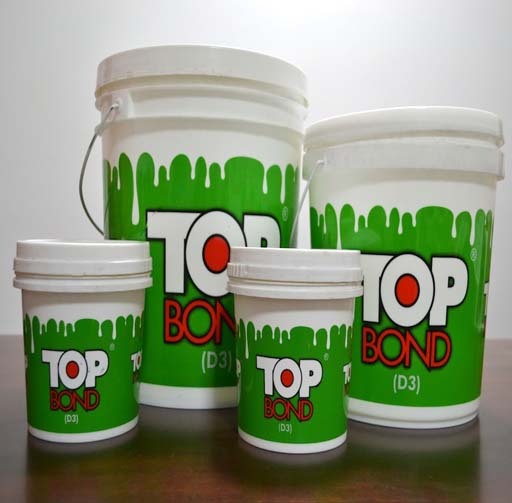 The product provides high strength and has water proofing capability to prevent the furniture damage due to water. Its Cross-Linking polymers give it excellent bonding strength and quick drying is a major up to the product's features. Highly apt where furniture/cabinets come in contact with moisture or water for eg:- kitchen cabinets.